How to do Purchase Entry in GIDDH? 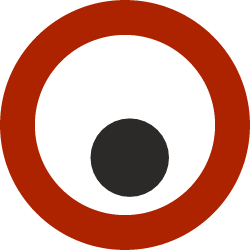 Type Purchase in Search Account it will show the Purchase Icon in drop down, click on Purchase then it will open the Purchase Ledger. 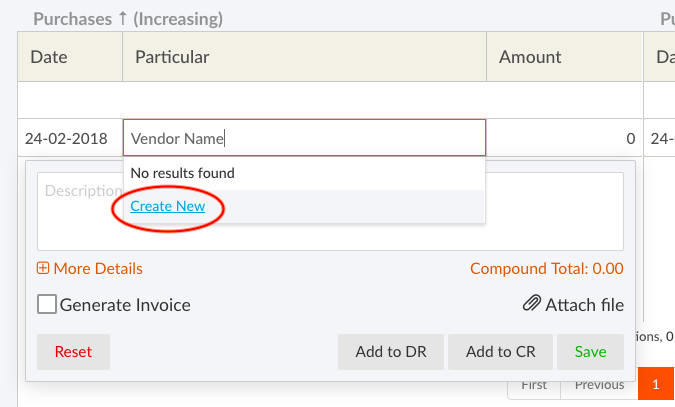 Type the name of the customer, If you have already created then Giddh will show the name of that customer to you in drop down option or you can Create Vendor Instantly by clicking on Create New button. 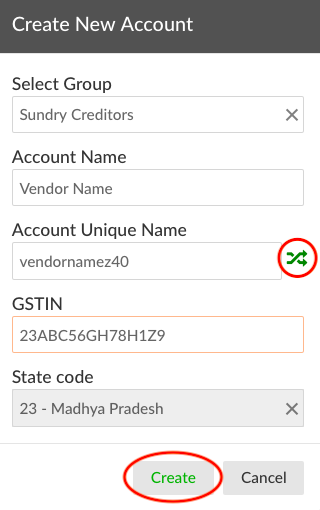 After Selecting Group fill all the required details of Vendor like Account Name, for Unique Name click on the green button, give valid GSTIN and select State Code and save it by clicking on Create Button. 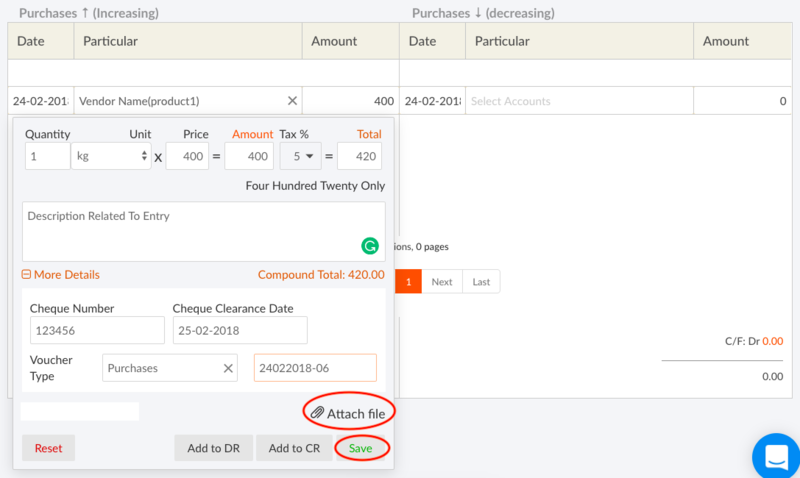 Select Date, Type name of Vendor in Select Account, select the customer name with Inventory if you have and fill Quantity, Price & Select the Tax according to your business. In More Details (If Payment done by Cheque) fill Cheque Number, Cheque Date, Voucher Type and fill Invoice Number given by vendor.